A great basic class and for FREE!!!!!! 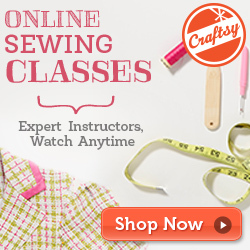 I just thought I would occasionally share some of the awesome classes that are available on Craftsy. What I love about Craftsy classes is that you can view them anytime, at your own pace, and as many times as you would like. I have started a great video library collection of some really informative classes. Check them out. This would be a great class for those just getting into sewing AND for those of us that could use a few new sewing tips! What a fun class! Look at what fun purses you can make. Get the most out of your serger. Sergers really are amazing machines, and most of the time we don’t even know half of what you can do with them.